I’m now 29 weeks pregnant which means there are only about 11 weeks left to go. Baby is around 17 inches long and about the size of a small cabbage. 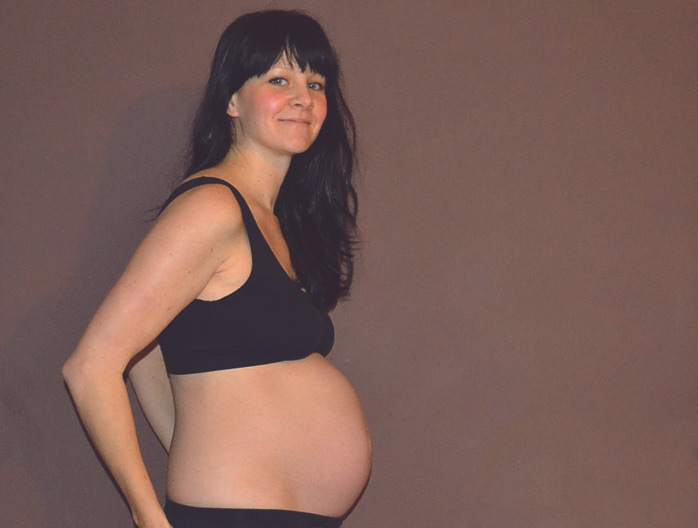 In my last update I was suffering with quite bad anxiety and I think a big part of it was due to the thought of the upcoming birth and having to go into hospital so I have now made a decision to have a home birth. Initially Mr C wasn’t very keen on the idea but after meeting with the midwife and being forced to watch home birth videos on YouTube he has finally come round to the idea. I have been reading the Natal Hypnotherapy book which is really helping me to start trusting in my bodies ability to give birth to a baby and I listened to the CD for the first time last night which will hopefully teach me techniques to help me relax when I’m in labour. Last time I knew lots about the process of having a baby but nothing about the importance of being relaxed and trusting your body. Basically fear is your worst enemy as it releases adrenalin which leads to your body working against itself, making the entire process more painful. It’s exactly what happened to me last time and now I know that, I am doing everything I can to make this time different. I was like a recovering drug addict for the first couple of weeks last time, with all the morphine, anaesthetic, anti-sickness drugs, hormones, painkillers and god knows what else I had been pumped full of, it’s no wonder I had the shakes for so long. I just don’t want that again. I also spent ages reading lots of posts on Diary Of A First Child about home birth last night and I found a post about herbs for use during childbirth especially interesting, apparently there is something called Angelica Root which helps to expel the placenta without the use of the oxytocin injection they usually give. There is also something called Shepherd’s Purse which can be used to stem haemorrhaging. I also discovered a Bach remedy for impatience, amazing! As part of my birth preparation I have also decided to sort out my diet and have stopped eating sugar. I never used to eat much sweet stuff but being pregnant with Cherry turned me into a sugar addict and it had got to the point where I easily could have lived on sweet food. I had been lacking in so much energy and hated that I was living for my next sugar fix so I chucked all the sweet stuff in our house out and went cold turkey. I am on day 6 now and am finally starting to feel a bit better, the withdrawal wasn’t very nice and I was irritable, tired and had a constant headache, not to mention craving chocolate. So overall I am feeling much better about everything. I am positive and determined for things to be different this time, and I know that even if I do have to go into hospital, things won’t be the same as before because I am so much more educated about the process. In other news, I have my last growth scan this week and if everything is okay then I will have got away without any problems from catching slapped cheek disease which is a big relief. Our house has started to become over-run with baby things again and I am starting to get it all sorted as I have a feeling the next few weeks will fly by!